Novartis recently announced positive real-world findings from a phase 4 clinical trial of fingolimod (Gilenya) in patients with MS. These findings confirm the efficacy of the drug and further support findings from prior phase 3 trials, according to a press release. Findings from the MS-MRIUS study show that treatment with fingolimod improved relapses, MRI lesions, disability progression, and brain shrinkage among patients with relapsing-remitting MS (RRMS). These benefits were observed for up to 16 months. Additionally, Novartis reported that this is the first study to find that routine MRI scans in a clinical setting can be used to measure brain shrinkage in patients with RRMS, which is used as a marker for disease progression. Included in the trial were 590 patients with RRMS treated with fingolimod at 33 centers. Patients underwent MRI scans 6 months before or 1 month after treatment initiation, which was followed by another scan between 9 and 24 months. After 16 months of treatment, 85.8% of patients remained on treatment, which confirms prior findings. Previous studies indicate that fingolimod is convenient, which leads to treatment satisfaction, long-term adherence, and improved long-term outcomes for people with relapsing MS, according to Novartis. The researchers discovered that 59.6% of patients eligible for the NEDA-3 assessment – no relapses, no new/enlarged MRI lesions, and no disability progression – achieved the status, according to the release. Approximately 37.5% of patients achieved NEDA-4 status – NEDA-3 plus no brain shrinkage. Among these patients, 85.6% treated with fingolimod had experienced no relapses, 91.1% experienced no disability progression, and 79.7% had no new/enlarged MRI lesions, according to Novartis. Another 58.2% of patients experienced brain shrinkage of no more than 0.4%, which is within the range for those without MS.
For more than 95% of patients included in the trial, using fluid attenuation inversion recovery MRI scans was found to be effective for detecting brain shrinkage. The findings confirm the importance of evaluating a drug’s ability to address and reduce relapses, lesions, disability progression, and brain shrinkage. Early treatment with effective drugs may impact the course of the disease and prevent patients from experiencing problems with physical and cognitive function, according to the release. 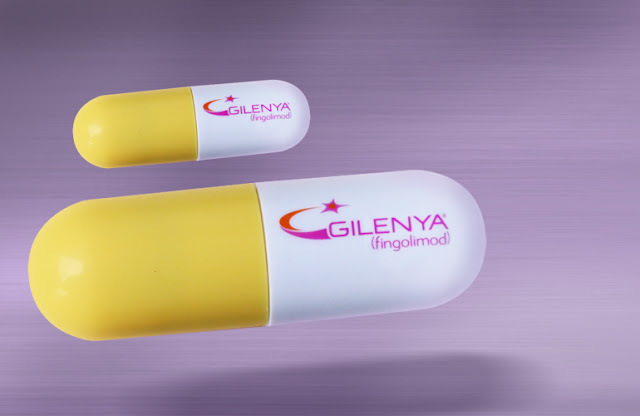 "These data build on the wealth of clinical and real-world evidence that show Gilenya is a highly efficacious, long-term treatment option for controlling disease activity in relapsing MS," said Vas Narasimhan, global head of Drug Development and chief medical officer at Novartis. "Measuring brain shrinkage has historically been dependent on specialist brain scanning techniques. These ground-breaking new data showing brain shrinkage can be reliably measured by routine MRI scans have the potential to change how this key measure of disease progression is monitored, to ultimately help patients and physicians observe and manage treatment success and outcomes."